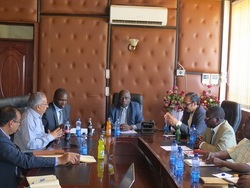 Siaya county could benefit from a huge investment bonanza thanks to Farmlands of Africa INC from India who have pledged to invest up to Ksh8 billion in projects in the county. The Indian arm of Farmlands of Africa; a global conglomerate is set to revive the collapsed Ndere cotton ginnery, launch a rice cultivation project in Yala swamp, improve machinery in a passion fruit processing plant and a dairy plant known as Mur Malanga if negotiations are fruitful. Speaking at a press conference in Siaya County the chairman of the company S N Kumar Buddhavarapu said Siaya will benefit a great deal from the Sh8 billion and encouraged the farmers to work hard in their farms.